Earlier this year, MyImprov sponsored the first ever AUTOBRAWL Blog where NFL teams battled it out in the garage to see who had the best rides. We made it to the Super Bowl, and we called it! The best teams on the field apparently also have the best taste in automobiles. Let’s see who takes home the keyring! James Develin might not receive much fanfare for his role as the Patriots’ fullback yet he certainly deserves respect for his taste in automobiles. Develin upgraded from his old Chevrolet Camaro to a stunning BMW 750Li. The Beamer is just large enough to accommodate Develin’s considerable size. The L series has an extra long wheelbase that provides ample seating space, especially in the rear. It also features a 445 horsepower engine, USB connections and Bluetooth. Yet the 750Li doesn’t sacrifice form for function. Take one look at this amazing piece of automotive machinery and you will agree it is one of the sleekest sedans on the market. Develin earned a +3 in the Battle of the Cars. Nate Solder has quickly become one of the game’s premier offensive linemen. He’s an absolute beast on the field and in terms of sheer size. He stands 6’8” and weighs 320 pounds. A man this large needs a mammoth vehicle. Solder picked out a decent ride in the Toyota 4Runner. Though the 4Runner isn’t the largest sport utility vehicle on the market, it is a solid performer. The 4Runner can fit upwards of seven passengers and head off-road without a problem. Yet Solder certainly makes enough money to drive a nicer vehicle with superior aesthetics and luxurious touches. Solder received a -1 in the Battle of the Cars. Tom Brady just might be the best quarterback to ever play the game. Can you imagine Brady rolling around Foxboro and Boston in a simple sedan or coupe? The thought of such an image is somewhat laughable. Brady went all out when car shopping. He drives several vehicles, two of which are the Rolls-Royce Ghost and the Audi R8. Both cars are absolutely gorgeous and a blast to drive. Brady topped it out with a +5. According to former Falcons’ right tackle Tyson Clabo, Ryan pushes an Audi throughout the “ATL” as so many like to call it. Clabo describes it as “really nice” and has admitted that he is jealous of Ryan’s ride. It is an appropriate luxury vehicle for a player who might be the NFL MVP in the 2016-2017 season. Ryan scored a solid +3 for his choice of vehicles. Falcons’ defensive tackle Jonathan Babineaux is an enormous man. The 6’2”, 300 pound behemoth needs a big vehicle to accommodate his incredible size. Babineaux steers an upscale Cadillac Escalade through town. It’s the perfect vehicle for a gigantic NFL defensive tackle. The Escalade has just about everything one could desire in a vehicle save for superior fuel economy. Babineaux scored a +4 for his vehicle choice. Vic Beasley is quickly establishing himself as one of the premier outside linebackers in the game. He makes a good buck and can certainly afford a nice car. Thankfully, Beasley didn’t pick out a minivan or plain sedan. He went all out with his purchase of a gorgeous yellow Lamborghini. Beasley deserves major props for his willingness to invest in an elite vehicle. 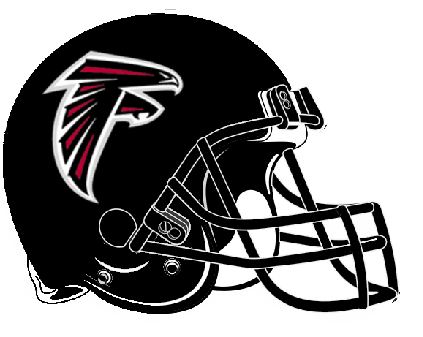 Based solely on points from an unidentified ghost writer, the Falcons have won the very first AUTOBRAWL SUPER BOWL! Fair Game? Who do you think won? Feel free to leave your comments below.